Piv is behind some of the biggest Danish TV series successes in the past 15 years. She worked as a producer at DR and produced the iEmmy award winning series, Nikolaj and Julie, and the internationally acclaimed The Killing, season I-III. Piv was Executive Producer of The Bridge, producer by Nimbus Film for DR, and 1864 produced by Miso Film for DR. 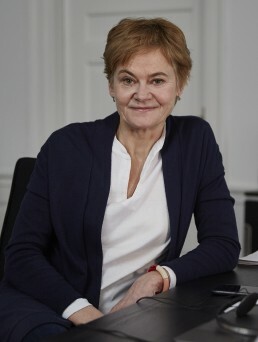 In 2012 Piv was appointed Head of Drama and commissioned Borgen, The Legacy, Follow The Money, Ride Upon The Storm and Liberty. Piv has a background a stage director and she started har tv career in 1986 a director at DR.
Piv has received international recognition – an iEmmy for Nikolaj and Julie, the Golden Nymph as Best European Producer for The Killing II, BAFTA for The Killing I, three iEmmy nominations for The Killing I and II. And numerous Danish awards.